Canon's imagePROGRAF iPF9000S is a professional-grade large-scale image printer intended for high quality, heavy duty image reproductions for jobs involving plotting, architecture, and CAD. 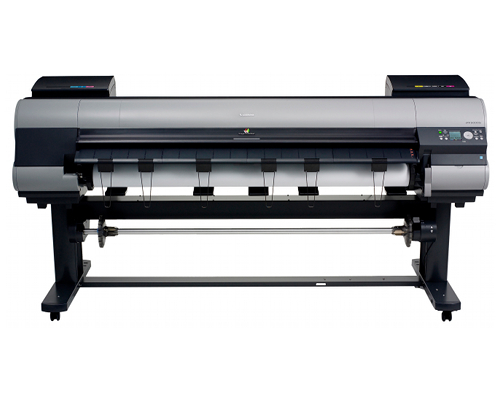 While it lacks support for much else, if any of those functions are needed on document sizes as large as 60" the iPF9000S may be a choice purchase. The printer measures 45" by 90.5" by 30.2" and weighs approximately 357 lbs with its stand, which is almost necessary in order to ensure printer function, as placing the printer on many types of furniture may inconveniently obscure access to the printer's several different feeders. Like other professional grade graphics printers the iPF9000S produces prints at a maximum resolution of 2400 by 1200 dpi and uses a 30720 nozzle ink system. 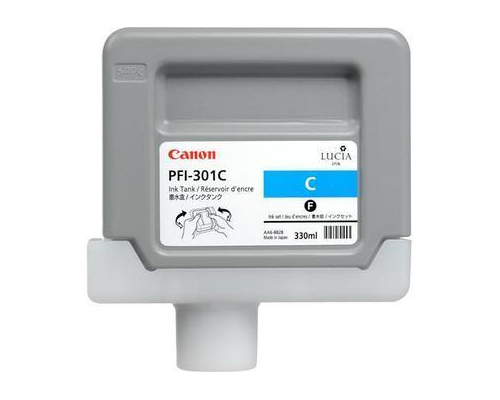 It differs from other Canon models in its distribution; while many models offer 2560 nozzles per ink, the iPF9000s splits its ink into Cyan, Photo Cyan, Photo Magenta, and Gray at 5120 nozzles each and Black, Matte Black, Yellow, and Magenta at 2560 nozzles each. In the event of nozzle misfire, the printer includes a nozzle recovery system that will automatically reroute inks where necessary. The printer has an ink droplet size of 4 picoliter. The printer supports printing to documents between 8" and 60" in size on cut sheets and between 10" and 60" for roll sheets. Through both its front loading manual feed and its roll feed it supports printing to documents between .07 and .8 mm in size, and it can process rolls as large as 63' in length and 5.9" in diameter. 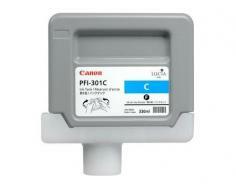 Borderless printing is available for documents sized 515mm, 1, 030 mm, 594 mm, 841 mm, 10", 14", 16", 24", 36", and 42". The printer is built to be compatible with glossy photo paper, satin photo paper, heavyweight satin photo paper, heavyweight glossy photo paper, and matte canvas, all of which Canon and several other manufacturers provide. Accessories for the printer include a cutting blade and both 2" and 3" core roll holders. The printer connects to systems via USB 2.0 or via a 10/100 Base-T/TX Ethernet interface, Connectivity via IEEE 1394 Firewire is available through an expansion card. The system supports Windows operating systems from 2000 onward, as well as both Mac OS 9 and Mac OS X. It includes 640 MB of RAM and an 80GB hard drive, which provides storage and improves the speeds of print jobs and offloads work that would otherwise have to be done by the connected system to the printer. The printer produces approximately 35 dB of noise at standby and 51 dB when operating. It also consumes 6W of power in standby and 190W at maximum power. The sizes and supported media types available to print on vary by printer drivers installed, the software being printed from, and RIP being used to send images to the printer. This is more of an issue for Mac OS X users than Windows users, as Canon's drivers at the time of this printer's release did not list any potential compatibility issues with Windows-based systems. The printer does not include a cassette for standard-sized paper, meaning that any environment that occasionally needs to produce letter or legal-sized documents will likely need another printer to do so, as this one isn't particularly well suited to even occasional use for such applications. Review it: "Canon imagePROGRAF iPF9000S "
The printer ships with eight starter ink tanks featuring lower capacities than replacement cartridges. 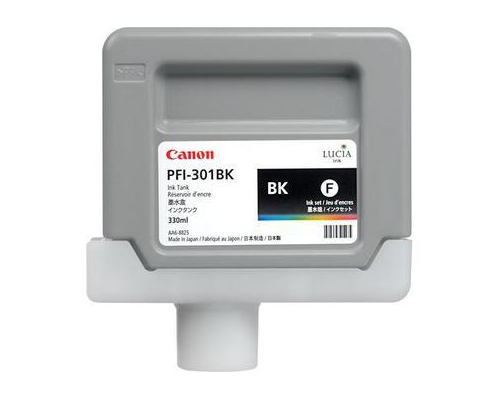 Consumables for this printer include eight ink tanks, one for each color, available in 330ml capacities each, as well as print heads to be replaced when near clogging and a maintenance cartridge that must be replaced in order to dispose of excess waste ink. Unlike consumer printers or office printers, high-end inkjets' ink is measured solely in milliliters, as the number of pages produced varies based on the quality of prints, how large sheets are, and what colors make up an individual print. This combination of factors makes it almost impossible to accurately gauge the number of sheets produced by a single tank of ink.